Please include species, when and where taken, tech specs and any other pertinent info about the sighting. Thanks, Matt. 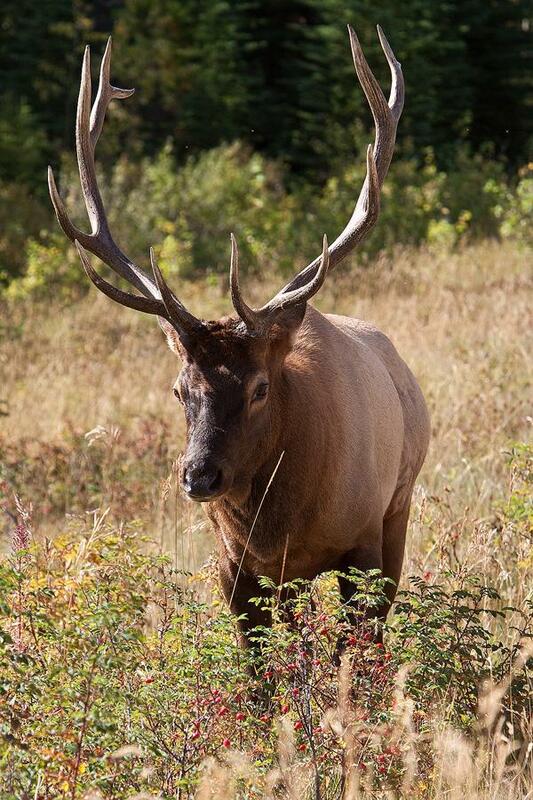 This is an Elk, seen next to the road in Jasper NP, Canada. He proceeded to cross the water of a river just when the sun was behind the clouds. The silver lining, the blue water, the mountains in the background, AND the elk... I think this is my favo pic from Canada. OK you got it mister. 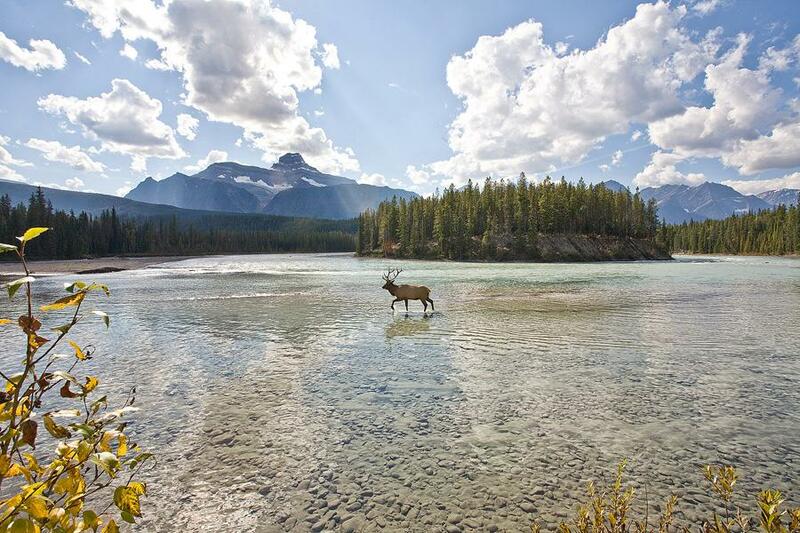 I just love the shot of the elk in the river, I've got a mate who lives in Jasper, maybe I should visit. This Chital deer Axis axis unsuspectedly strolled towards a water hole where suddenly it found itself surrounded by a pride of Asiatic lions. There was no doubt in my mind that I would witness a swift kill within seconds, but the little deer somehow managed to find a gap an outran the five or six lions that had positioned themselves within a circle of no more than 30 metres. Whitetail deer doe and youngster feeding in our front yard during a snowstorm. Photo was taken in January 2012. 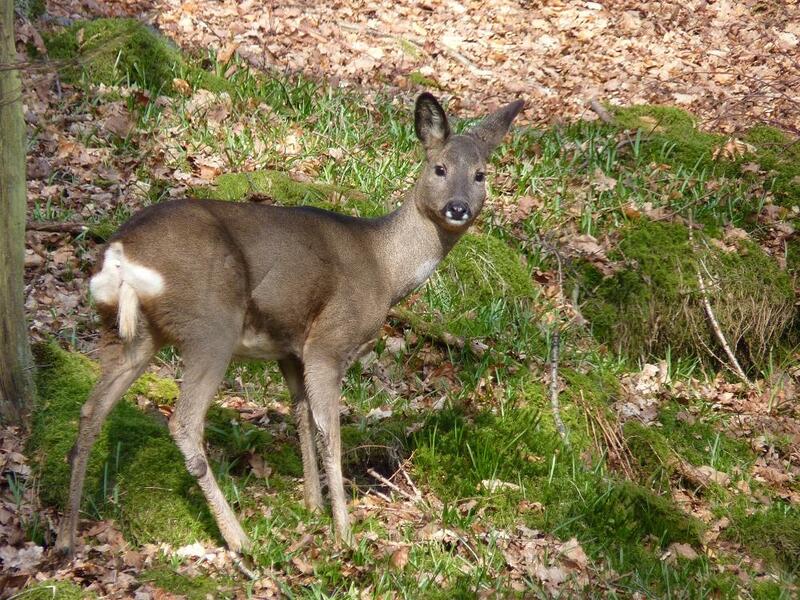 We live on a mountain in a very wooded area so we see deer quite often. You can stay there for free and "maybe"?? Actually I may be going to the US next year so I can go up there then. Meanwhile he's going to Ecuador and plans to find out how the locals get over to the Galapagos, I can't stand afford organised tours so am hoping he comes up with something. 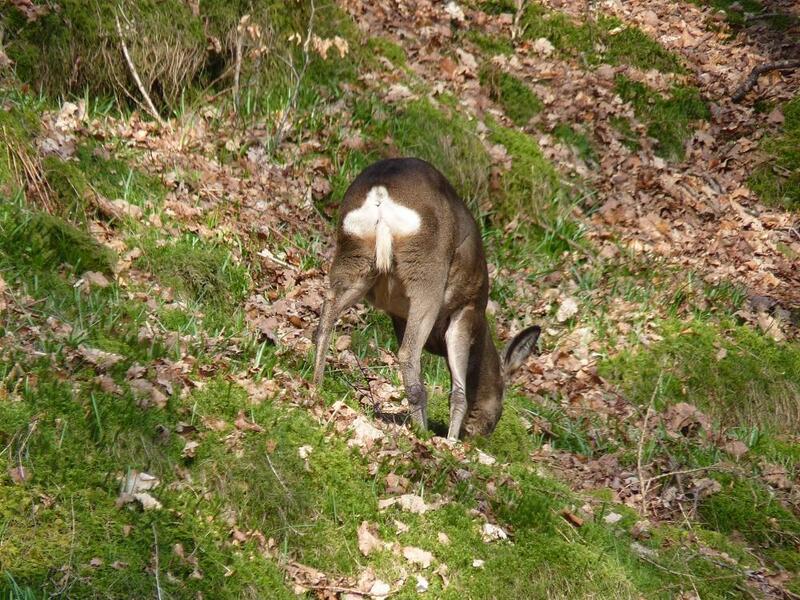 That's one lucky Chital deer. 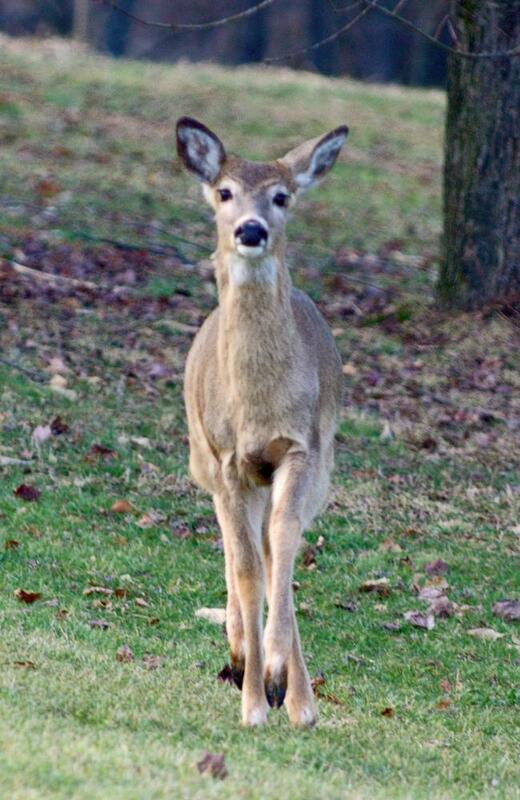 Whitetail deer near Pittsburgh, Pennsylvania, USA. Recently taken. 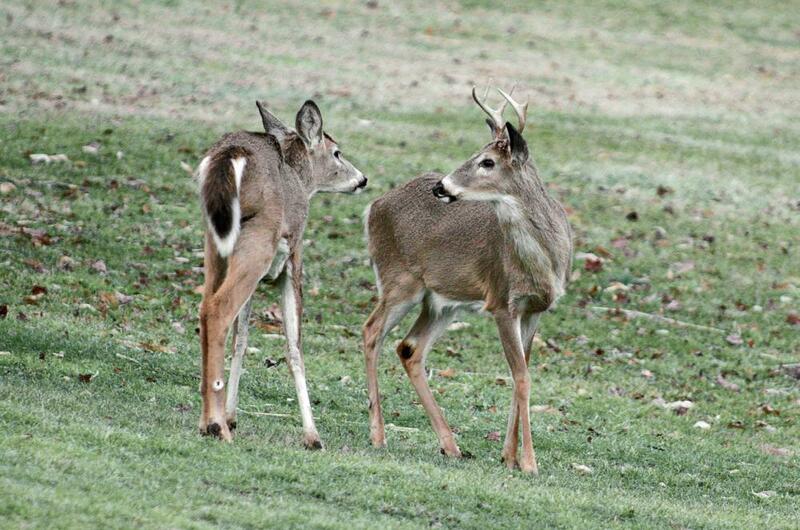 Third picture shows why they are called whitetail. 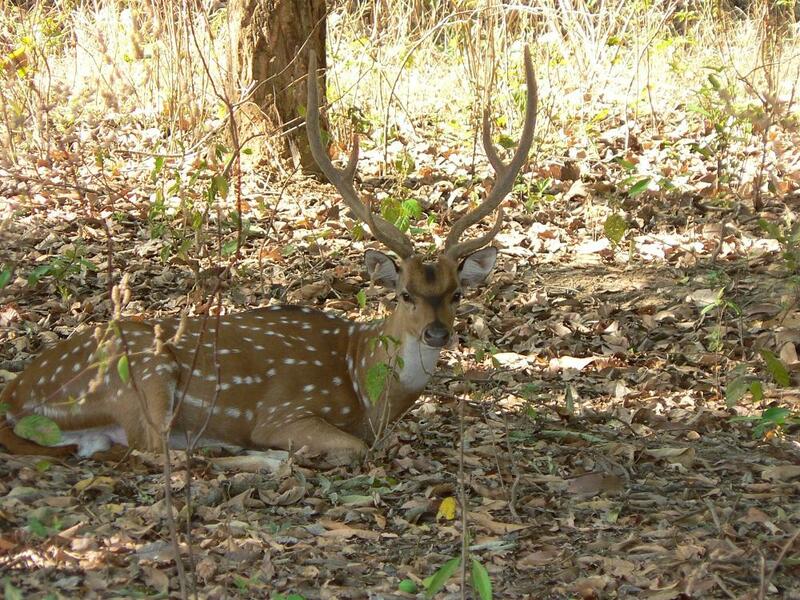 Chital deer in Kanha, India in 2009. Taken with a Panasonic FZ5. 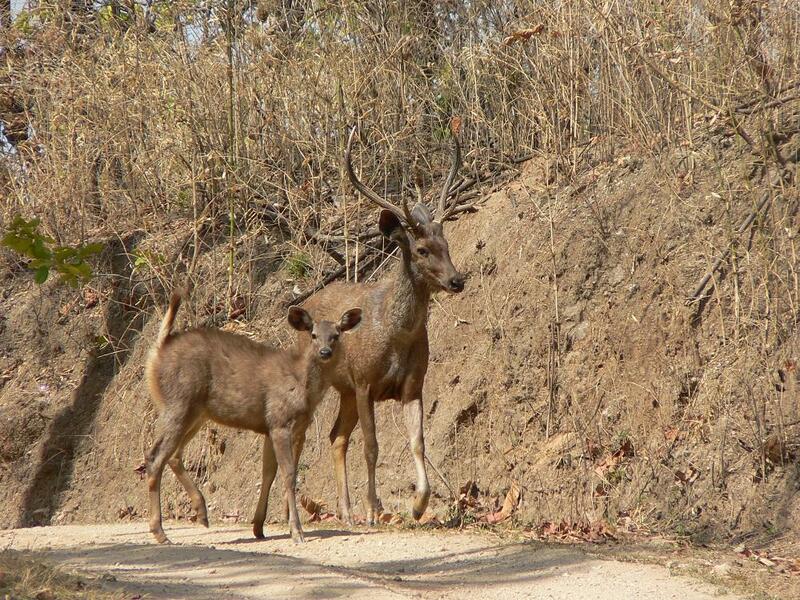 Sambar deer in Kanha, taken with the same camera. Living in Oz I didn't think I had any deer photos, then I remembered this one in the Kosciuszko NP. There are an introduced species and considered feral here, especially in a national park. Its a Kansu Red Deer, one of the rarest deer in the World, I hardly seen any picture taken in the wild. This was made in Prov. Quinghai, Tibet last August. 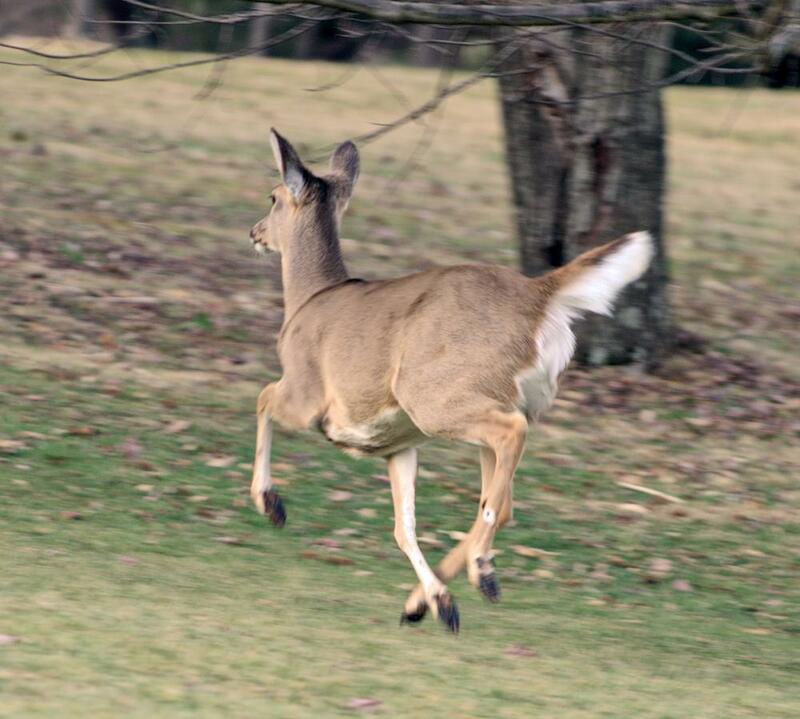 Also observed one McNeil Deer, which is even more rare, but couldn't take a picture, just seen it running away. Well, have it, was written with the tourleader Jesper Hornskov who lives in Beijing. It was a birding trip. Unfortunately the file is protected, can't copy the contact, but I can attach it. I attach more, there was some mammals trip with Jesper. For me the mammal highlight was the Chiru (Pantholops hodgsonii), a childhood dream to see, and several Przewalsky's Gazelles, one of the rarest, only 400 left. Thankyou. 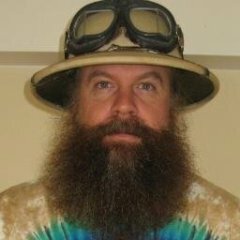 Will be read with a mug of tea later: can you invite Jesper to come onto Safaritalk? 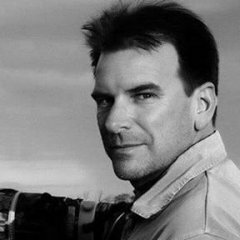 Hi Matt, Honestly, I don't think he is interested in safari issues that much, he is a absolute bird fanatic (as being a birdguide by myself, I can tell he is the best I ever met with anywhere... he is a living legend). But if you think, please feel free to invite him as a Root Admin, he certainly knows everything going on in Tibet. Unfortunately Tibet is closed now, so the best bet is Quinghai or maybe Xinjiang-Uygur. There are of course no lodges and alike, and to make it worse, its not allowed to sleep in tents out in the wilderness, so eg. we had to spend our nights in local hotels which is pretty far from OK. Food was great indeed, scenery is strikingly beautiful, and I definitely don't give up to get to Chang Tang sometimes to see the mass Chiru migration in the Aru Basin. Lajos, can I direct you to our birding forums here. Work in progress, perhaps you can help? 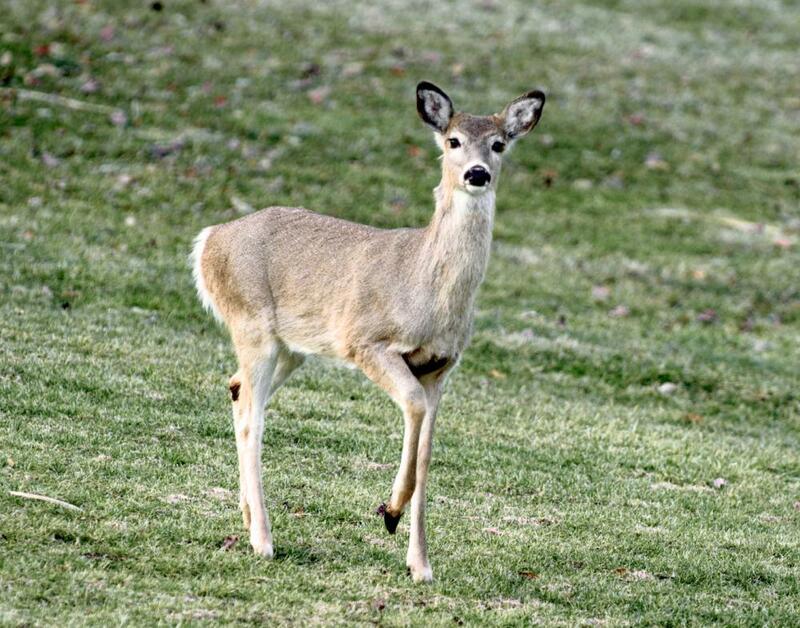 Experts are urging drastic measurers to cull the soaring deer population in Britain. New research suggests that only by killing 50-60% of the animals can their numbers be kept under some control. The number of deer in the UK is estimated at 1.5 million - meaning a cull could result in more than 750,000 animals being shot. Del Rio, Texas, from my sister's back patio. Black-tailed Deer (Mule deer). Point Reyes National Seashore (<1 hr North of San Francisco). 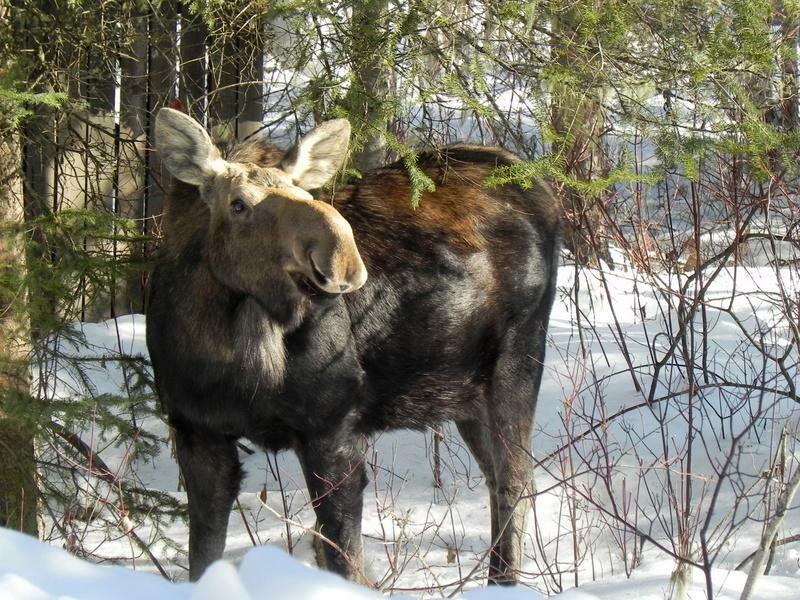 If you want to see moose in the western US, then Teton is the place to go. Coues White-tailed Deer amid Ocotillo cactus and Cholla cactus. December 8, 2005 in the southern portion of Buenos Aires National Wildlife Refuge, Arizona. The second ridge line in the background lies in Mexico. The photo was taken in my pre-DSLR days, with a Canon A640 point-and-shoot. 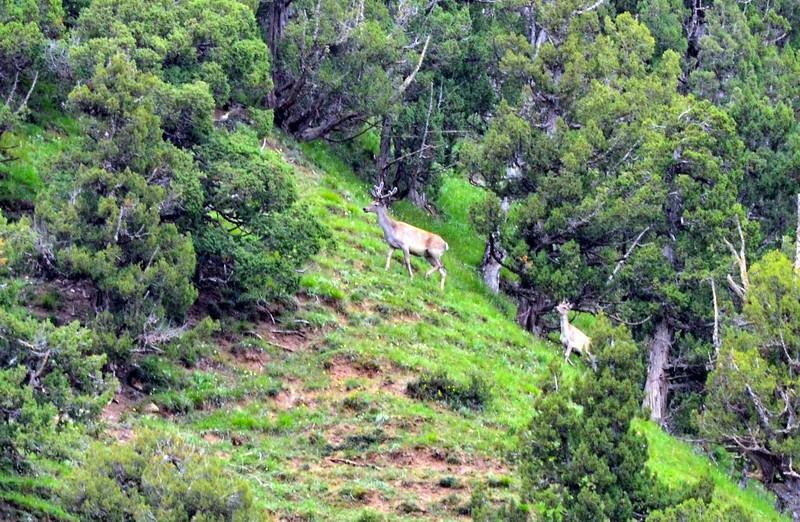 This subspecies of White-tailed Deer lives in semi-wooded mountain and desert grassland habitat between 3,000 and 10,000 feet (900-3000 meters) in the United states in southern Arizona and New Mexico and in Mexico in Sinaloa, Nayarit, Durango and Chihuahua. It is named for the naturalist and historian Elliott Coues (pronounced 'cows'), an army surgeon whose primary research interest was ornithology. Yet he contributed to the literature in many disciplines, including mammology. 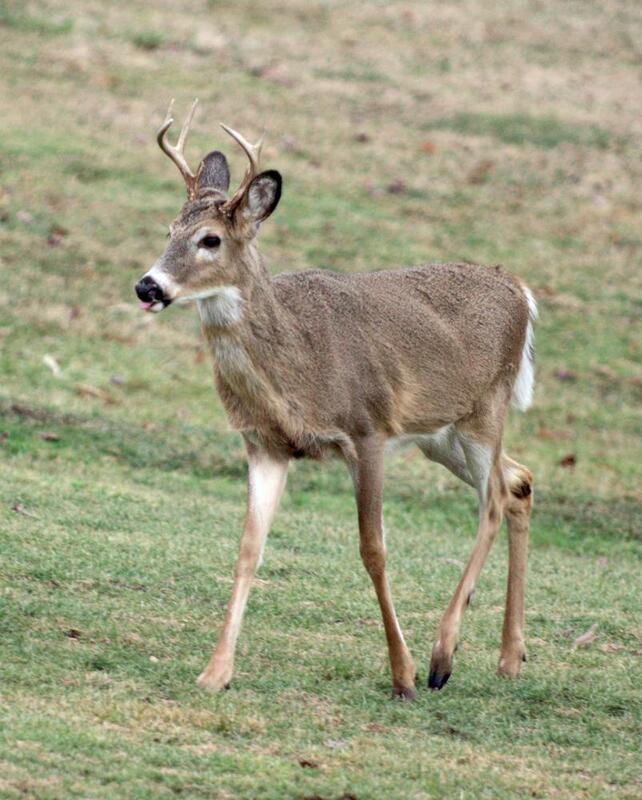 Coues' is the smallest subspecies of White-tailed Deer. They are known for their wariness and elusiveness, and can hide within surprisingly sparse vegetation. They are difficult to photograph standing still, unless one stakes out a game trail or food source from a blind. Most photos of them are variations of the animal's hindquarters as it bounds or melts away (kind of like @@Safaridude's description of trying to photograph Lesser Kudu). A little later just north of this location, I was able to get close views and video footage of a nice herd of Pronghorn Antelope.